Claire is the top rated (handicap) lady player in the world and the only one with a single figure handicap, her best being 2.4 - she aims to get down to scratch. In 2011, Claire became the youngest ever World Champion at the age of 19, winning the singles and also the doubles with her sister Sarah. Claire has won 19 Ladies Open Singles Championships and 18 Ladies Open Doubles Championships. She won both a singles and doubles Grand Slam in 2010, 2012 and 2014 and a Singles Grand Slam in 2011. Claire turned professional in 2011. She spent a year as Head Professional of Prested Hall Real Tennis Club before joining Holyport Real Tennis Club as the Senior Professional in September 2014. Claire made history in November 2014, becoming the first lady to compete in the British Open and also competed in the US Open 2015 - another first. She was also invited to play in the French Open 2015 and Australian Open 2016 but declined due to her pregnancy. She continues to break down barriers and to push the top of the ladies’ game to new limits. With the arrival of baby Sophie, Claire has become a mother - another first for her! Lea, 23, started playing squash in Toulouse, France, at the age of eight and went on to play both for club and country. Highlights of her junior career include captaining the under 19 women’s French team during the World Junior Championships in 2013 and winning the under 19 National French Championships in 2015. She has now switched her focus to the original rackets sports games of rackets and real tennis. She is the current ladies rackets world champion, a title she has held since 2015, and is ranked number two in the world at real tennis – all while juggling training and competition with her work as a final year Economics and German student at the University of Nottingham! 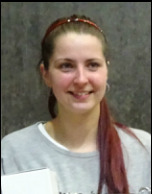 Since taking up Real Tennis at the Queen's Club in June 2017, Lea has won The Queen’s Club Ladies Championships twice and consistently made at least the semi finals of various prestigious tournaments, her biggest achievement to date is perhaps climbing up the ranking from world number 16 in November 2017 to number two by August 2018 in a record time of just under ten months. Tara graduated from Bristol in June 2015 with a 2.1 degree in Biology. Since then, she has spent most of her time in Australia. After six weeks travelling from Sydney to Cairns, Tara spent a month in Melbourne both seeing family and competing in the Australian Open and Boomerang Cup. After losing in the semi-final of the singles and final of the doubles of the Australian Open, all hopes of victory were pinned on the Boomerang Cup. With the strength of a more than capable team behind her, 'The Complainers' went on to win the competition and take the trophy! Tara completed her trip to the other side of the world by travelling to both islands of New Zealand before returning home to start her job at the end of February. Tara now lives in London and works at a life sciences strategy consulting firm in London Bridge. Having settled, Tara hopes to become a member of Queen's Club as soon as possible in order to maintain her tennis. Sarah, along with her sister Claire, is dominating the international real tennis doubles tour – they are currently the Ladies Doubles World Champions and British Open Champions. Sarah also won the LRTA International in 2014. Sarah took up real tennis at the age of 14, playing at Prested Hall, and continued to play at Cambridge University where she achieved three Blues for real tennis, football and athletics. She won various junior titles and has played in multiple finals of the World Championships as well as all other Ladies Opens. Sarah is driven to continue competing through a love of real tennis and balances this with full time work in consulting in London. Penny is currently the only player to feature in both the Past Champions and Current top players’ pages of our website - an extraordinary achievement. Following her previous great tennis career, Penny is still very much enjoying playing and competing in tournaments, seeming to have been given a new lease of life after encouragement from her daughter Tara to continue playing singles. Penny won the US Open Singles Title in 2014, together with the US Open Doubles title with Tara, and the French Open Singles in 2015. She also recently retained the Ladies’ Masters Singles title. She is training for a 10K Race for Life run in June this year as well as working full time. Irina graduated from Middlesex University with a BA in Magazine Publishing in 2014. She took up real tennis in her second year there and in her final year MURTC offered Irina an internship for showing potential at the game and to help her progress further. After graduation Irina was offered a scholarship by Adam Phillips at MCC. Whilst there she played in her first French Open in 2014 winning her first title, the French Open Doubles with Claire Fahey. In 2015, Irina played her first British Open where she and Freddy Adam reached the Doubles Final and they also reached the semi-finals of the World Championship Doubles. In the 2015 French Open, she reached her first Singles final. Irina and Freddy then went on to win the French Open Doubles. Last year Irina also played her first US Open (held in Boston), and was very successful, winning both the Singles and, with Freddy, the Doubles. They have just won the 2016 Ladies British Open Doubles. Sue Haswell was a former junior international lawn tennis player, who came to Real Tennis in her late thirties. She became the World Singles Number 2 for many years and was the World Doubles Champion, partnering Penny Lumley. She won the British Masters title in 2011 and 2012. Sue reached the semi-finals of the Over 50s Singles and Doubles of the World Masters in 2015. In the past she has run Real Tennis Masterclass coaching weeks at Bordeaux, with the closing of the court there she now runs courses at Fontainebleau. Sue runs her own business but tries to play at her home court (Hampton Court) as often as work and other commitments permit. Freddy started playing real tennis at Oxford as a graduate student (Modern History, Linacre College) competing in numerous Varsity matches including: lawn tennis, basketball, golf and blind wine tasting. She represented Oxford University in three real tennis Varsity matches and was captain of the 2001 team.